Good Neighbor Insurance, www.gninsurance.com , is continuing to update our clients on the global health and medical insurance changes. 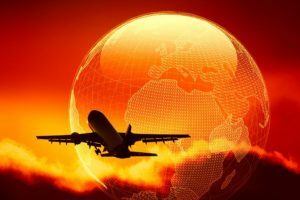 Our blog at www.gntravelinsurance.com has many articles on global and US health coverage updates as well as understanding international travel insurance plans. Feel free and call us at 866-636-9100 or at 480-633-9500 here in Gilbert, Arizona. EUROPEAN UNION 10-11-2010 / European Parliament committee approves cross-border health provisions The public health committee of the European Parliament has approved a directive that is intended to improve the access to health care services for residents of one European Union member state who seek medical care in another member state. The approval was given on 27 October after the second reading. The draft directive means that an EU member state will be required to fully pay for the treatment received by a resident who seeks medical care in another country. Prior authorization of the treatment by the home country is not required unless the treatment involves hospital confinement or specialized medical care. Prior approval in such cases could be refused only in a very limited number of circumstances; in the case of refusal, the patient must receive clear and timely notice from his or her home country. The draft directive specifies that in most cases, treatment in another country is to be paid for only if the treatment is covered under in the home country. During its review of the draft directive, the parliamentary committee introduced more than 200 amendments to the proposal from the European Council. Therefore, there will have to be meetings between the Council and representatives of the Parliament to resolve these differences. Once this has been accomplished, the final version will be returned to the full Parliament for a vote. BACKGROUND The draft directive attempts to clear up the uncertainty that patients often experience under the current rules–an uncertainty over whether payment will be made for a treatment and, if so, the timing of the payment and whether it will be sufficient to cover the cost. If adopted, the draft directive is expected to be of special help to those living in border regions who find it practical and convenient to receive medical treatment across the border from where they live. There has been concern that the draft directive would encourage medical tourism and that it would allow a patient to financially gain from receiving care abroad. There also is concern that such a provision would distort the way in which a country provides medical care for its residents. The Council of Ministers–the ministers responsible for national health insurance coverage in each of the 27 member states–took more than a year to develop a proposed directive that would address concerns such as these. EUROPEAN UNION 10-11-2010 / Third-Country Nationals now covered under EU social security coordination regime A new provision extends the applicability of the social security coordination regime to include a third-country national who is a legal resident of an European Union or European Economic Area country who is working in a different EU/EEA country. For example, this would include a U.S. citizen who is legally resident in Belgium but who is temporarily assigned to work in Romania. The current social security coordination regime, set forth in Reg. (EC) 883/2004 and Reg. (EC) 987/2009, took effect on 1 May 2010, replacing Reg. 1408/71 (EEC). Previously, the regulations omitted covering a legal resident of an EU/EEA country who is not an EU/EEA citizen, and who is working or staying in another EU/EEA country. The new third-country national coordination provision corrects this omission–except in United Kingdom and Denmark, which have exercised their right to opt out. It will be noted that the United States, Canada, and other major non-EU/EEA countries have social security treaties with the principal EU/EEA countries and, therefore, their residents may not be affected by this change; however, they will benefit if they are working in one of the other EU/EEA member states where there are not treaties. (The US has social security treaties with 19 of the 31 EU/EEA countries: Austria, Belgium, Czech Republic, Denmark, Finland, France, Germany, Greece, Ireland, Italy, Luxembourg, Netherlands, Norway, Poland, Portugal, Spain, Sweden, Switzerland, and United Kingdom.) MALAYSIA 29-11-2010 / Malaysia considers mandatory health insurance for foreign workers Malaysia is considering making it mandatory for foreign workers to be covered by private health insurance. This is part of the Economic Transformation Program (ETP), which is Malaysia’s plan to establish itself as a high income country by 2020. The ETP plan identifies 12 National Key Economic Activities (NKEA), one of which is private healthcare. The proposal to make private health insurance coverage mandatory for foreign workers is one of the six proposals (called Entry Point Projects) related to private healthcare. RUSSIAN FEDERATION 29-11-2010 / Mandatory medical insurance bill passed a second reading The State Duma of the Russian Federation passed the bill on reforming mandatory medical insurance in its second reading on 16 November 2010, two weeks later than originally planned. While no explanation for the delay was given, the law is expected to be finalized and approved by the end of 2010. The law will entitle patients to independently choose medical providers, medical insurance companies, and doctors. No considerable changes to the draft law have been proposed since it went through its first reading in mid-October of this year. The only substantive change affects the revised mandatory insurance certificates (“polis”). As it stands now, new ‘polises’ will not be available to eligible individuals until 1 May 2011. Also, it will not be insurance companies but the Mandatory Medical Insurance Fund issuing these to the population. Despite the anticipated timeline, the approval of the law may further be significantly delayed by the ongoing heated debates regarding possible amendments to the reform of the unified social tax (UST). BACKGROUND Earlier this year the UST was replaced with the social insurance contributions paid directly to each of the four funds — the Pension Fund, the Social Insurance Fund, the Mandatory Medical Insurance Fund, the Pension Fund and the Territorial Funds of the Mandatory Medical Insurance Funds. Starting 1 January 2011, the contribution rate is scheduled to increase to 34% (from the current 26%). There have been numerous requests by the business sector representatives that the government delays the increase. While the possibility is being discussed in the government, no firm decision has been announced yet, and the increase is still to take place as planned. Doug Gulleson loves to scuba dive overseas and makes sure he has his US health care and overseas health care, www.gninsurance.com , information with him at all times when he travels Keep our blog close by you, www.gntravelinsurance.com, for continual updates on the changes in global health care systems.